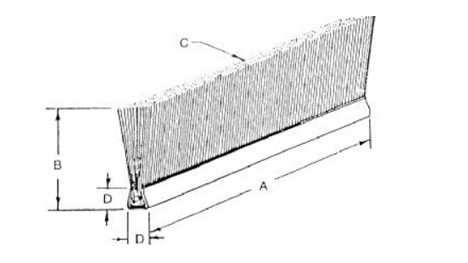 Our Industrial Channel strip brushes are made by taking a flat piece of galvanized steel, stainless steel or aluminum, laying filaments perpendicular to the sheet metal then laying a central wire parallel to the sheet metal and then clamping the sheet metal around the retaining wire. 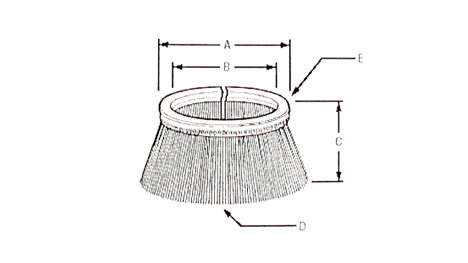 Strip brushes can be formed to cylinder brushes, inside disk brushes, outside disk brushes, cup brushes, or remain as straight strip brushes. 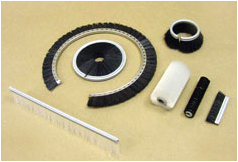 Industrial channel strip cylinder brushes are made by mounting coil wound and strip brushes on cores. Although a wide range of choices are available, they are the most over-recommend type of brush made. 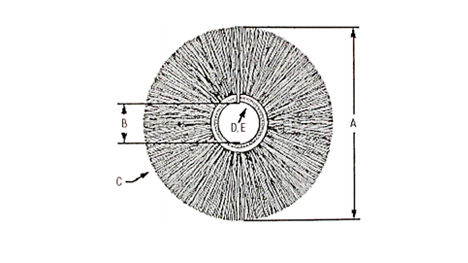 In very few applications are a mounted coil strip brush the cylinder brush of choice. A tufted brush does a much better job in most applications, especially in cleaning applications and perforator back-up applications. 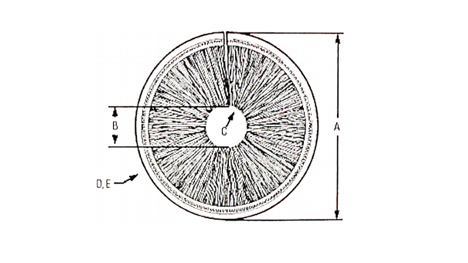 The style of a strip cylinder brush only allows for filament movement in two directions as compared to four directions for a tufted brush. Companies often recommend a strip because that is what they make, and not what is best for the job. But in some applications they do a good job, especially in jobs requiring a wire filament. Designing and manufacturing an industrial high quality brush can be as simple as replacing and improving on an existing brush, or it can require the consideration of a large number of variables that need to be investigated before the best brush for a job is recommended. Jenkins Brush Company is a full service brush company supplying industrial brushes in all of the major brush constructions including the unique tufted METLKOR construction, wound, staple-set, channel strip, epoxy-set, wire drawn, and twisted-in-wire constructions.